Talking flowers, toy diggers and rope swings will give Peel Park a 21st century look when it reopens next summer, say Salford City Council. Now historic images of the public enjoying one of the world’s first truly open parks have been revealed. 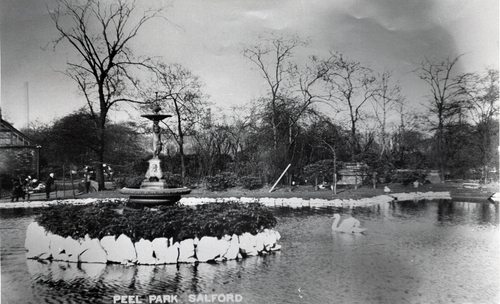 Peel Park in Salford was one of the first public parks in Britain when it opened in 1846. 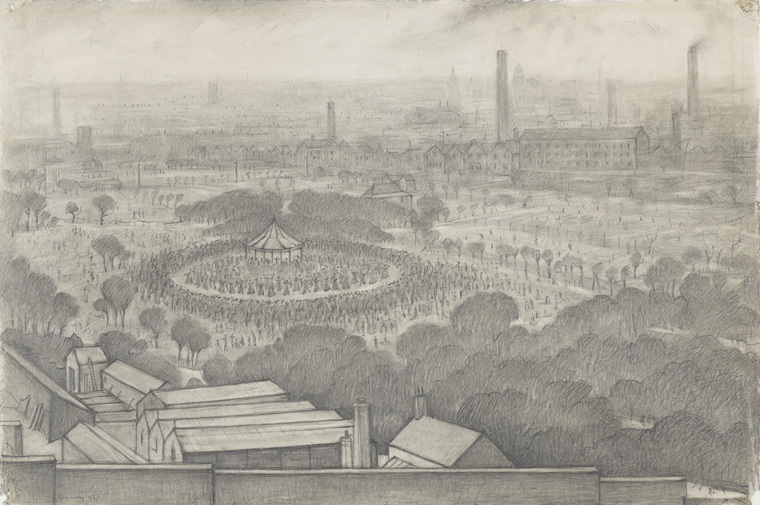 It was famously sketched and painted by LS Lowry in the 1920s and 1930s. After years of neglect, the council sourced £2.5 million for the park’s restoration thanks to the Heritage Lottery Fund. 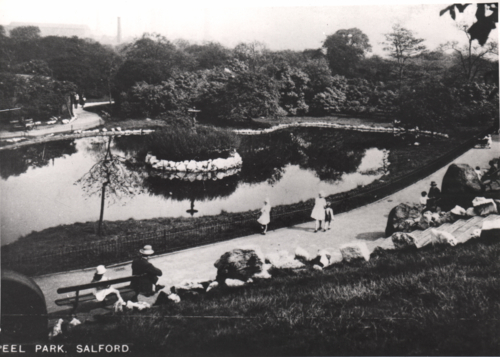 Included in the upgrade are plans to bring back a park keeper to Peel Park as well as restoring paths and terraces to their 1891 glory. Large housing development is on the way to the area. 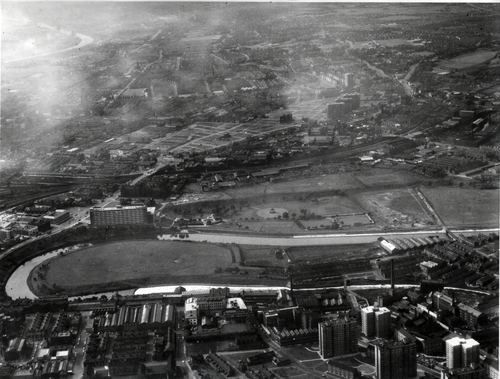 Between now and 2025 some 7,000 homes will be built within half a mile of Peel Park. So it’s a vital ‘green lung’ in the heart of the city, as well as a major part of Britain’s heritage. Rev Andy Salmon, chair of the Friends of Peel Park, added: “Peel Park is a fantastic resource for our local community and it will be great to see it transformed so more people can enjoy it. 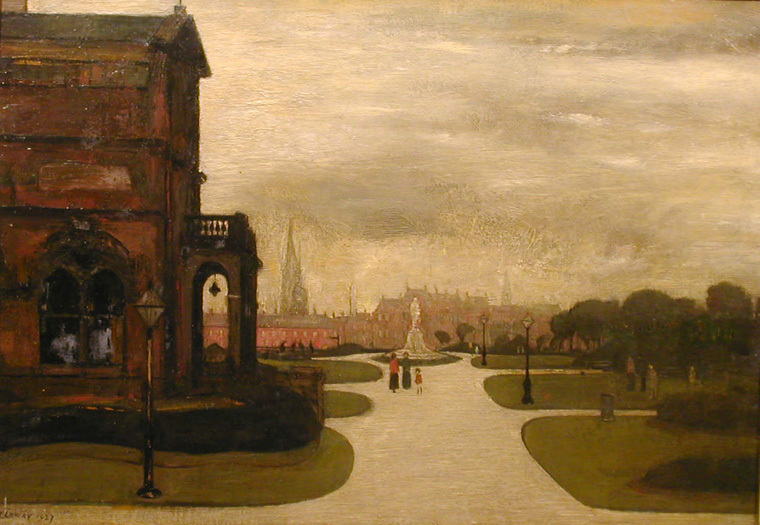 Peel Park was the first in the country to welcome everyone, whereas other parks excluded the working classes by charging entry fees or using dress codes to subtly restrict movement. 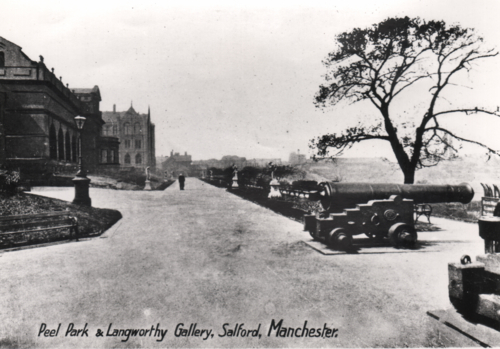 Built on the former Lark Hill estate, it was paid for by public subscription with donations from local families. 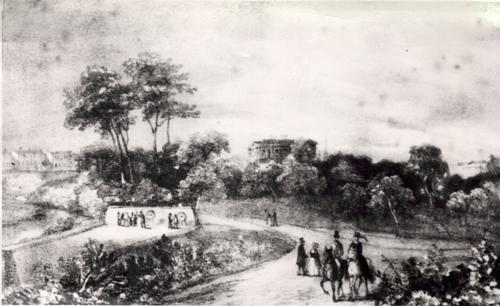 In 1850, four years after the park opened, Lark Hill Mansion, which was being used as tea rooms for the park, was opened as the first unconditionally free public library in Britain. 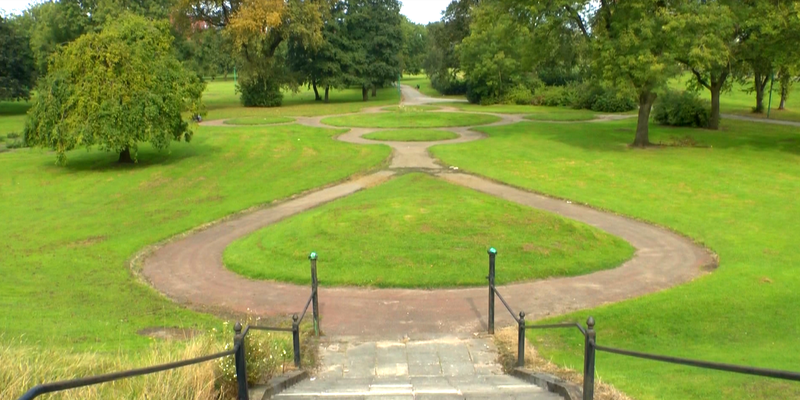 Peel Park also pioneered public exercise facilities. It included a gym, playground and swings for girls in an age when women were not thought to be strong enough for sport. Now the council say nearly £30,000 of new play equipment will be added to the 2017 upgrade. Councillor David Lancaster, lead member for environment and community safety, said: “We’re very grateful to the SUEZ Communities Trust for the funding which will bring brand new, exciting play equipment into the park. The playground is very important to people who use the park. “We’ve chosen a mix of equipment for all ages, from the traditional roundabouts, slides, swings and rope swings to more imaginative, interactive pieces such as talking flowers, mini diggers and drums for the younger children. The Parks for People programme, jointly funded by the Heritage Lottery Fund and BIG Lottery Fund, is supporting the park’s £2.5 million restoration.